Rabbit anti Canine, Equine, Human, Mouse, Porcine, Rat CCDC70. 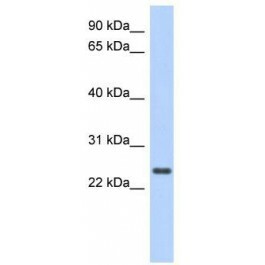 The immunogen for Anti-CCDC70 Antibody: synthetic peptide directed towards the middle region of human CCDC70. Synthetic peptide located within the following region: TFRGKIHAFRGQILGFWEEERPFWEEEKTFWKEEKSFWEMEKSFREEEKT. The specific function of CCDC70 is not yet known.